The hour after sunrise and before sunset has been called the "Magic Hour" by Galen Rowell and other great landscape photographers. In this gallery, I have collected photos taken during that special time of the day where the warm, low angle lighting is the key compositional element, often changing an ordinary scene into a memorable photograph. 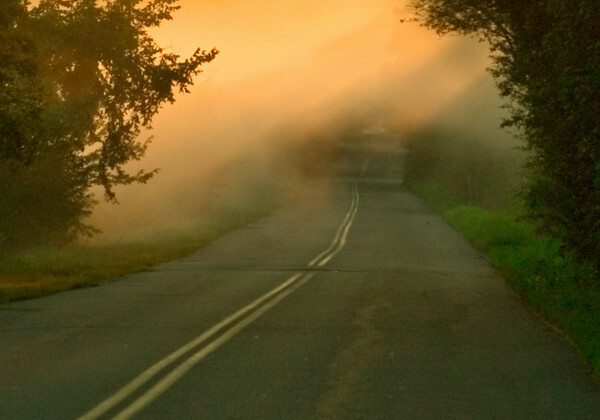 The sunrise reflecting through the morning mist on a country road.